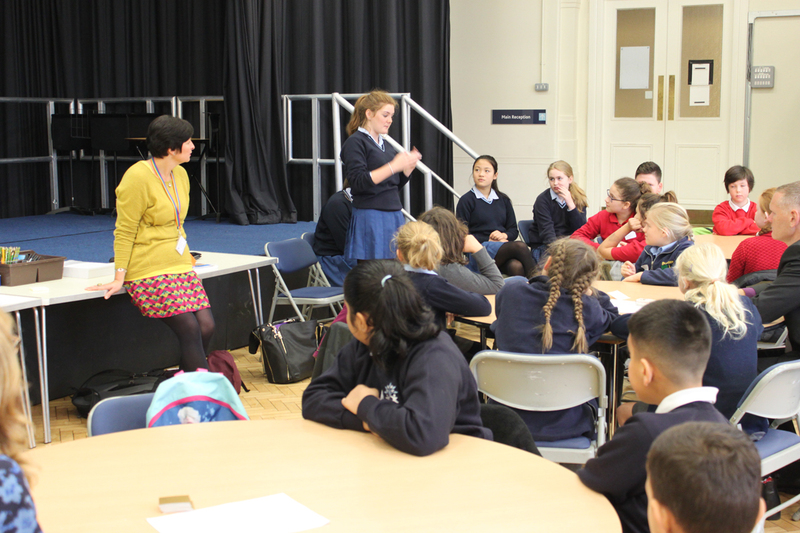 We welcomed 47 pupils from 10 city and county schools to our second Dyslexia Awareness Day. The day was led by NGHS head of Educational Support, Cate Harvey and was separated into two sections: Awareness and Strategies. As part of ‘Awareness’ five NGHS students ranging from Years 7 to 11 spoke openly about their experiences with dyslexia. Attending pupils prepared questions including ‘has dyslexia scarred or ruined your life?’, ‘how does colour help you learn?’ and ‘how do you learn difficult spellings?’ By sharing tactics and stories, some understandable anxiety towards dyslexia and learning difficulties were alleviated. Children were also invited to contribute to a mood-board throughout the day, whether it be a doodle, further questions, or smileys. 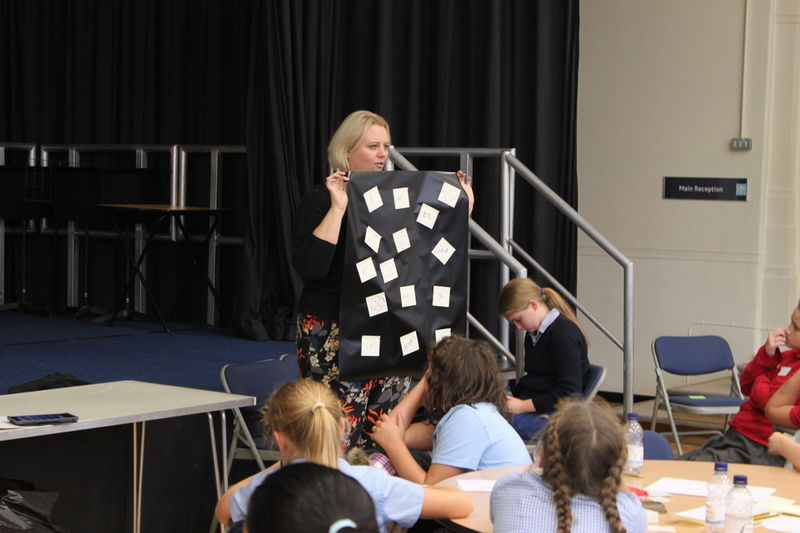 The afternoon focused on ‘Strategies’ and featured a talk from visiting author Linda Chapman who spoke of her eldest daughter’s experience with Dyslexia and how she has learnt that writing shorter condensed stories over long prose works best for her. Linda then introduced her own writing, explaining briefly some of the themes in her 200 children’s books. Children were then asked to work collaboratively to create a new ‘baddie’ which could potentially feature in her next Sophie and Sam adventure story, Sophie and the Shadow Woods. From a word-combination activity, children then created ‘Swamp Gnome’ with magic eyes that manipulated the swamp water, feet that could squash anything beneath them, and a hat that shot lasers. It was then decided that Sophie and Sam would have to use ice or soap to defeat the new Shadow Baddie. 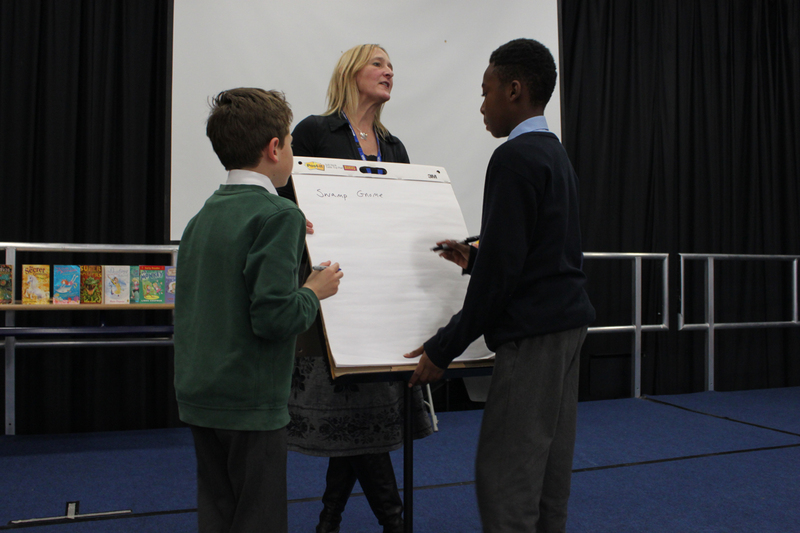 Q&A then followed with children asking ‘what inspired you to write?’ and ‘how do you plan your writing?’, with Linda offering helpful tips in times of frustration. Children and attending staff were then introduced to useful technologies that could assist with their learning. Miss Wendy Taylor demonstrated apps including Nessy and Post-it Plus. You can find links to these apps under our resources. The afternoon was then left for the children to create a poster under the theme of ‘Making Sense of Dyslexia’. In the evening, we also hosted a Parent and Teacher seminar for those interested in finding out more. We had parents attend and discuss where their children find frustration, difficulties or distractions. As a group we took some CTOPP Processing tests which challenged working memory and processing. It then became familiar how some children may struggle to process several pieces of information at once and how us as parents can make things easier at home.